Cocalero is a unique botanical spirit inspired by South American flavours and culture. Cocalero is a unique botanical spirit inspired by South American flavours and culture. Our botanical infusion includes coca leaf, juniper, lavender, ginger and 13 other hand selected botanicals that give Cocalero its unique flavour. At 29% Alc.Vol, Cocalero is a medium strength spirit with universal appeal. 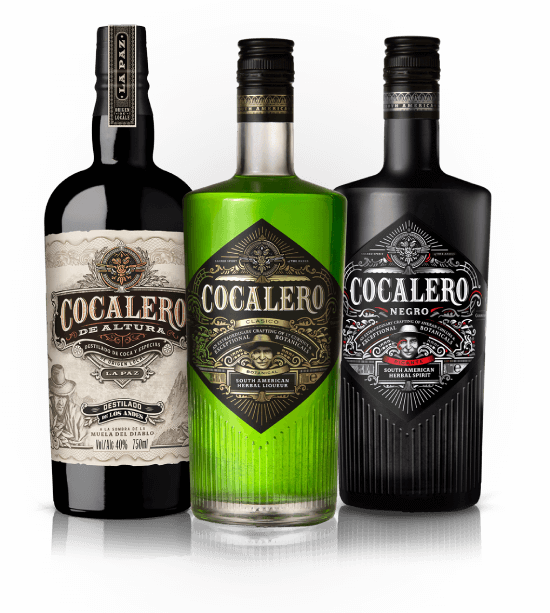 Cocalero is now the number 1 imported liqueur by value in Japan and is recognised as one of the most successful spirit brand launches in the last 20 years. Cocalero has organically grown through innovative brand associations and efficient use of influencer channels. In 2017 we surpassed Jagermeister in both volume and value terms with growth of 245% over 2016. Rapid growth continues in 2018 with sales up 140% vs 2017. With proven success under our belt, and a clearly defined formula, we will be rapidly expanding the Cocalero brand in 2018. Our major focus will be the United States, the world’s largest premium spirit market and this will be complemented by launches in Ireland, UK, Canada, Australia and China.